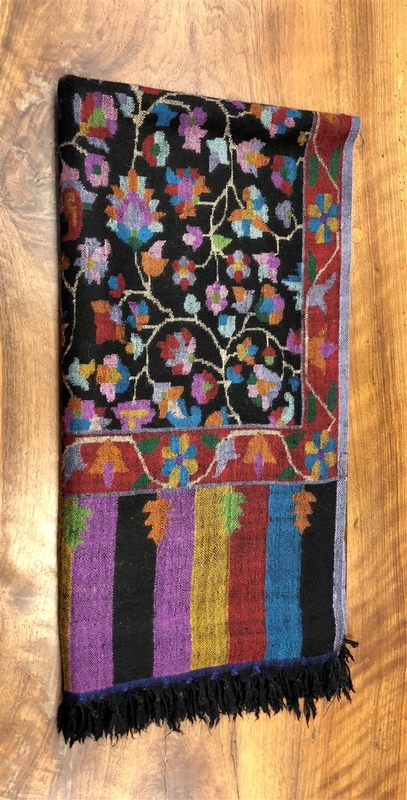 Shava Creation proudly collaborates with master weavers and artisans from around the world to create unique pieces that bear testimony to the highest levels of skills and craftsmanship. The Shava Kashmir collection consists of Kani shawls that showcase one of the most complex Indian weaves. The Kani is a proud symbol of the highest levels of Kashmiri craftsmanship. The Shava Kani shawls are woven with pure pashmina yarn into intricate floral patterns. They are available in striking colours that showcase the Kani weave in all it glory. To be seen against appointment.